The nation&apos;s veterans are being asked to contribute DNA for the largest genetic research project in history. What could be the biggest genetic research project in history is underway in a surprising place: the roughly 1,700 medical facilities run by the U.S. Department of Veterans Affairs. The Million Veterans Program, which recently logged its 400,000th participant, aims to collect blood samples from a million veterans in the next couple of years. Scientists say genotyping the samples--essentially &apos;bar-coding&apos; bits of DNA to isolate differences in people&apos;s genetic makeup--could predict a person&apos;s likelihood for getting a particular disease and lead to personalized pharmaceuticals. "I think this is revolutionary for medical science," said Dr. Timothy Morgan, lead researcher of the program at the V.A. Hospital in Long Beach. Earlier genetic studies in the United States have had sample sizes of around anywhere from 5,000 to 200,000 patients, but none has ever attempted anything like a million patients before. The Million Veterans Program started when geneticists working for the VA realized they were sitting on a treasure trove of potential data. While most Americans switch medial providers from time to time, the roughly seven million veterans who use the V.A. generally enter its healthcare system at a young age and stay in it until they die. "What the V.A. has that nobody else in the world has is a very powerful medical records system," Morgan said. With the Million Veterans Program, researchers using the system could decide they want to look at genetic markers for a disease like prostate cancer or diabetes. They&apos;d query the electronic records and find perhaps tens of thousands of cases. They&apos;d then be able to run the corresponding genotypes through software to look for similarities at certain positions along the DNA strands. Those strands that are contained in the database--the mere 0.02 percent of our genes that vary from person to person--are also the ones that could reveal why one person gets sick while another does not, Morgan said. Finding the exact genes related to that various could lead to targeted studies on how to prevent and treat many diseases. Dr. Pragna Patel, a human geneticist and professor at the Keck School of Medicine at the University of Southern California, said the pie-in-the-sky goal is to get to personalized drugs. "We’ve been practicing medicine as a one size fits all," she said. "But really there’s enough precedence now to show that different individuals respond quite differently to drugs." And veterans specifically represent an optimal group to study--despite the fact that they skew heavily male, Patel said. "They represent a cross-section of the U.S. population in terms of ethnic ancestry. So, that’s important," she said. "And they’re afflicted with the same common ailments such as heart disease, depression, emphysema as the general populace is. And so the information gained from studying them can be applied to everybody." The key is recruiting enough veterans to participate. On a recent Thursday, Lesley Sim took up her customary position outside the blood lab at the V.A. 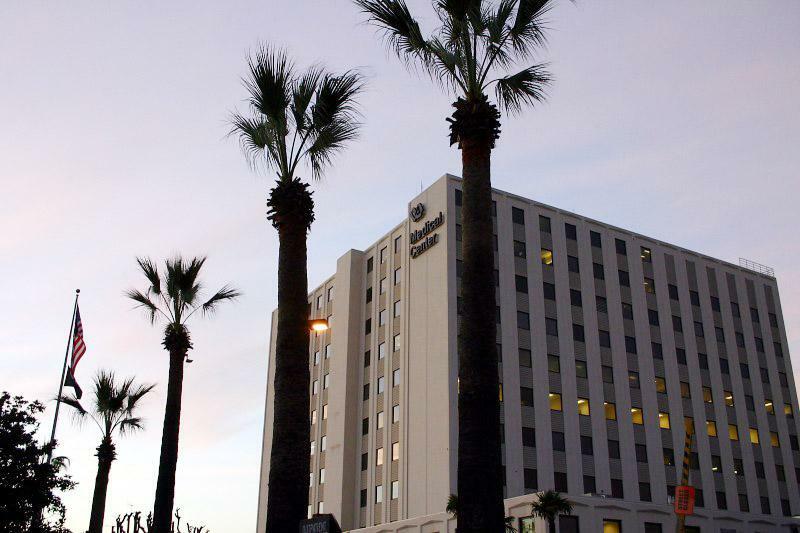 Long Beach Healthcare System, armed with a clipboard and her sales pitch: "All we’re asking from you is a one-time blood sample today and for you to mail back a survey whenever you get the chance to fill it out." Sim generally averages about 16 new recruits a day. "Most people are open to doing it because they know they’re helping future health care and future veterans," she said. On this particular day, Keliven Galloway, a former Marine who twice deployed to Fallujah, agreed to give her his blood for entry into the database. He told Sim he was happy to help. Flipping through the survey questions that accompany the sign-up, he chuckled. "&apos;What best describes the color of your skin without tanning?&apos; That’s the first time I’ve heard that," he said. And with that, he might become one in a million. The Million Veterans Program hopes to reach its recruiting goal by the end of 2018.